Lavender Court is quite simply beautiful. A smokey-grape or mulberry and lavender purple nail polish shade, this colour is a naturally stunning must-have this season. Part of the Woodlanders AW15 collection. For a more professional manicure, first ensure that the nail plate is completely cleaned. Old nail polish, any oils and other impurities will inhibit adhesion and shorten the life of the manicure. Once thoroughly cleaned, your Prestige Base Coat Nail Polish can be applied, to protect against staining and also to improve adhesion. In long, even and uninterrupted strokes, paint your base coat nail polish from cuticle to nail tip edge. When all ten nails are covered, you can begin applying your Lavender Court in the same manner. 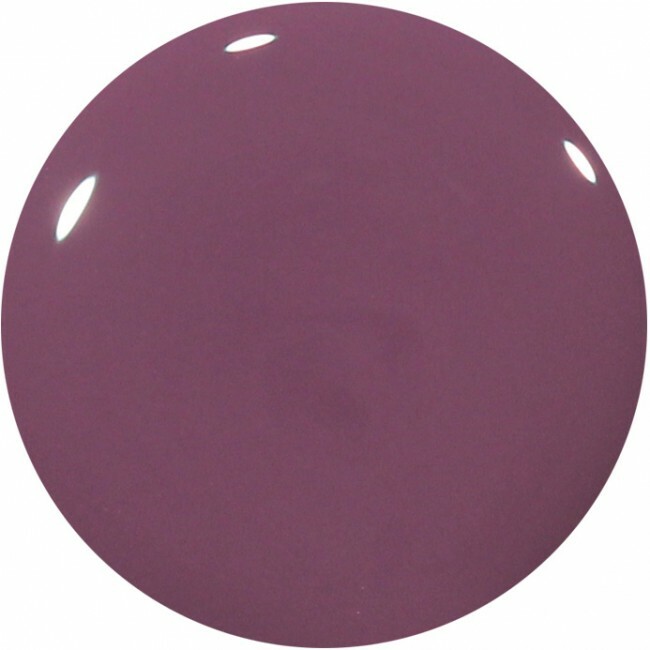 This purple nail polish should be painted very thinly and when all ten nails are painted, if you require a second coat to provide more body, repeat the process of painting a thin layer of purple nail polish, making sure to brush this colour along the very edge of the nail tip, to seal in and lock the colour. When the colour is applied, begin again with a generous layer of Prestige Top Coat Nail Polish, painting from cuticle to tip and, equally importantly, along the edge of the nail tip, to lock in the purple nail polish colour. This super quick drying top coat will help provide a non-chip nail polish with a salon high shine finish. Enjoy this simply beautiful purple nail polish! You may also like Stadium Street, a darker purple, or Holbein Place, a lighter shade of purple, which make lovely complimentary nail varnish sets. 12ml of luxury 9-free, more natural smokey mulberry lavender purple nail polish.